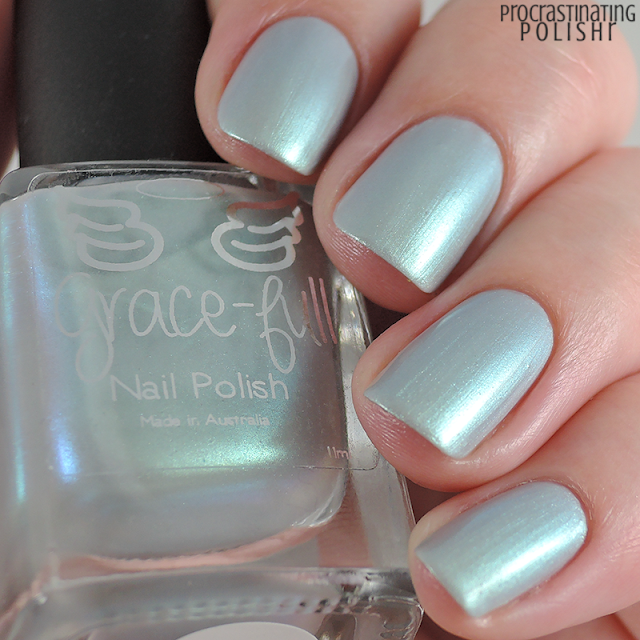 Today I've got three of the four new COTM polishes from Grace-full Nail Polish to show you - if you're a fan of delicate sparkle and tricksy shimmers, I suggest you read on! The June-July Colour(s) of the Month(s) were created with the help of the Grace-full fan group on Facebook. Theresa asked for people's favourite colour combinations and picked a few options to work her magic on. 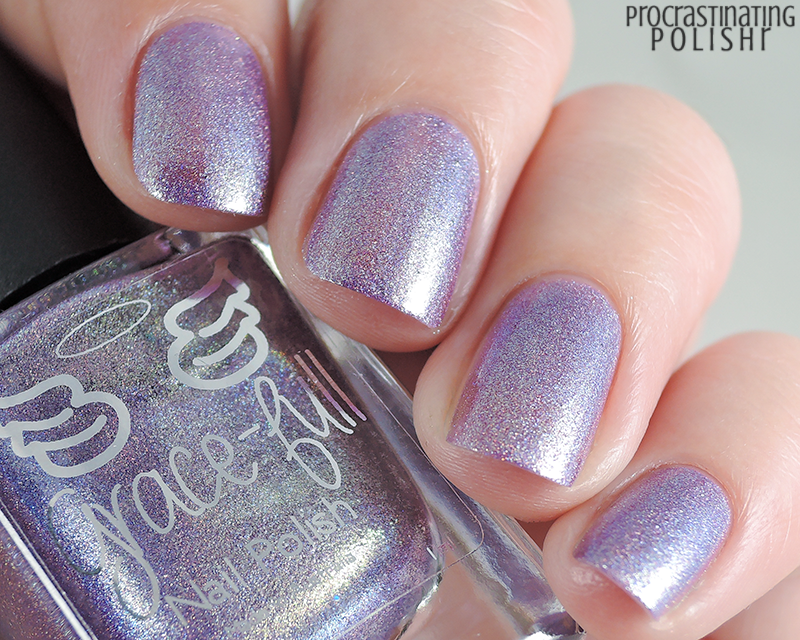 Delicate lilac linear holo with a metallic shimmer in shades of gold. My camera is still in a shame spiral at its inability to capture the true glory of this shade - the combination of linear holo and shimmery overlay was just too much! 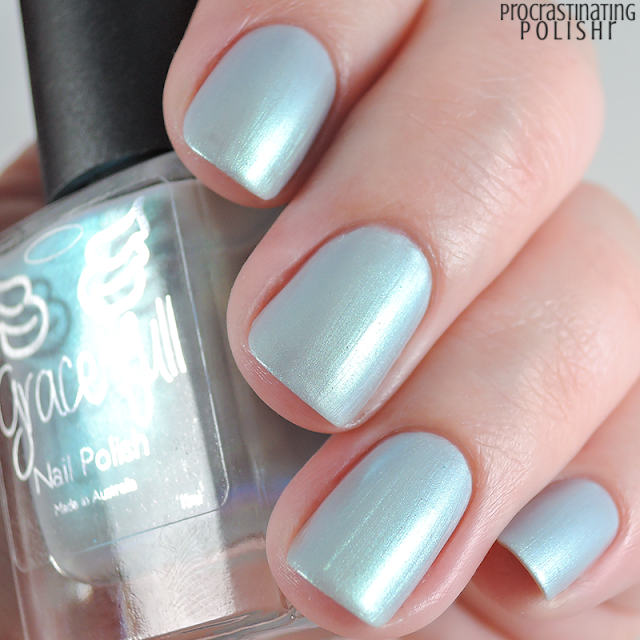 Ethereal silver grey with a vivid turquoise shimmer. I was quite apprehensive about this one in the bottle as it seemed like it would be sheer and overly pearlescent, but it's actually beautifully pigmented and definitely not your Nana's nail polish. If you're super bothered by brushstrokes I'd probably sponge the final coat on, but unless you're staring at your nails under bright light you're more likely to notice the shimmer than anything else. I did three thin coats and a coat of Angel Armour. Beautiful flowing formula that practically applies itself! 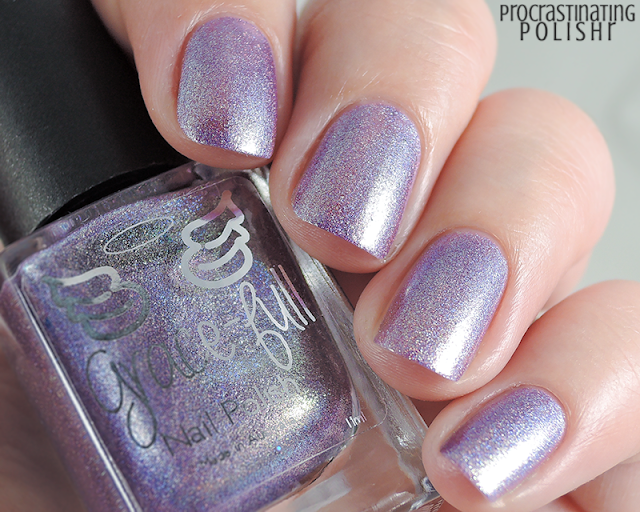 Creamy mid-purple with a gorgeous aqua shimmer and a delicately flecked finish. 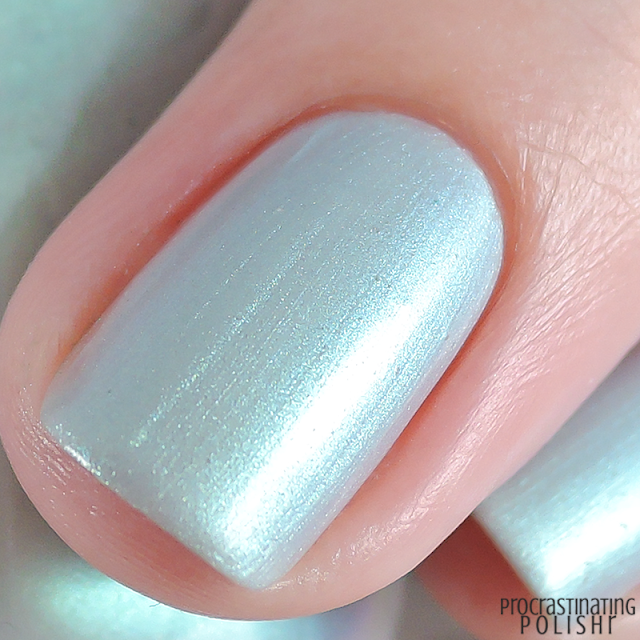 I adore these kinds of silken flecky polishes! The shimmer is more vivid in real life but hopefully you get the idea. Again, a formula from heaven with perfect pigmentation. It dries to the slightest satin finish. Two coats for opacity and Angel Armour for shine. These three shades will be available from Grace-full Nail Polish from Friday 8th July, along with a fourth shade, Midnight Soiree. Don't forget to join the Facebook fan group to stay up to date on all things Grace-full!